With holiday season just around the corner, it’s the perfect excuse to gather the entire family and your closest circle of friends for some quality time! 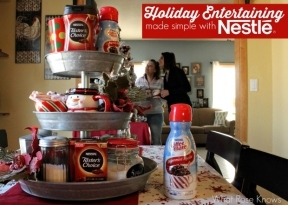 Nestlé La Lechera shares the top entertaining tips to help you be the perfect host this upcoming holiday season. Prep ahead of time- Block off specific periods of time on your calendar to buy groceries, prepare the dinner and set up for the party. Having the prep time clearly scheduled out will give you peace of mind and help you stay organized in the final moments leading up to the event. Plan to have everything set up and ready to welcome your guests at least 15 minutes before the start time in case someone shows up early. This way no one will walk in on your last minute preparations. Test new recipes ahead of time– Testing new dishes and trying out new recipes for the first time right before hosting a party is a risky move. Either test new recipes a few days before the party or stay true to your cuisine or stick to the dishes you feel most comfortable preparing. Involve your children– Ask for your children’s help in preparing for the party so they feel included. You can assign them simpler tasks like putting out the place cards and the signs for potluck dishes. 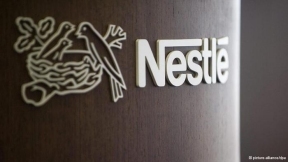 This will also keep them busy, so you can better focus your attention on more complicate tasks. 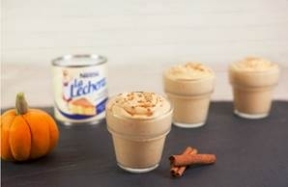 Choose a dessert that will please everyone- Prepare your favorite La Lechera dessert to add a Latin twist to the party. Try this easy-to-prepare pumpkin mousse, perfect for the holiday season! Set a theme- If you’re planning on doing a potluck, set a theme and make a list of dishes that everyone should bring. This way you will avoid duplicating dishes and mixing types of food that do not go together. Don’t clean up when guests are still there- Latinos love sobremesa! There is nothing better during the holidays than getting to spend quality time with your loved ones after a delicious meal. Don’t clean the table while your guests are there because they will feel pressured to leave.